Halloween… or just another day in the San Francisco office? Bonus points to anyone who can name all 3 costumes – leave a comment! 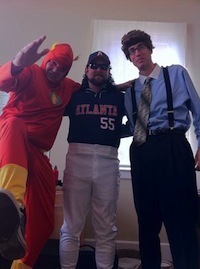 Flash, Kenny Powers and the boss from Office Space.